Her pride, her freedom: and not freedom's shade. 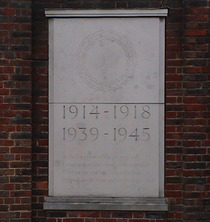 This monument was here set up to call to memory the men and women of Hampstead who gave their lives for their country in two great wars. 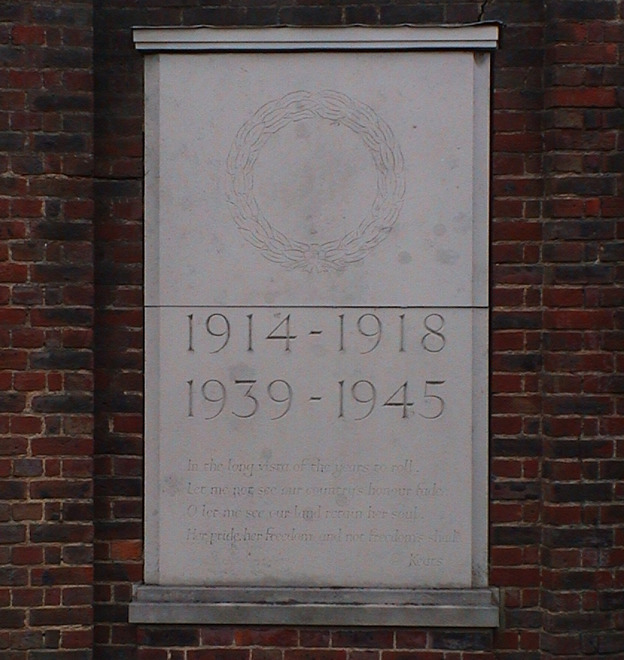 To those of this borough who gave their lives in the Great War, 1914 - 1918. From the inscriptions it seems that the obelisk was created as a WW1 memorial and the flanking walls were added after WW2. We thank David Hopkins for the translation of the Latin motto. The imposing house you see behind the monument was the home of Quaker banker and slavery abolitionist Samuel Hoare (1751 - 1825) who moved here in 1790. His descendants include: John Gurney Hoare and Sir Samuel Hoare.